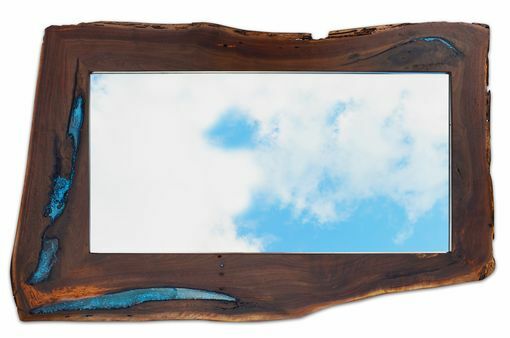 Start with a piece of live edge walnut–fill the natural voids with epoxy resin and you end up with a one of a kind mirror. Outside live edges give it an interesting free form shape. 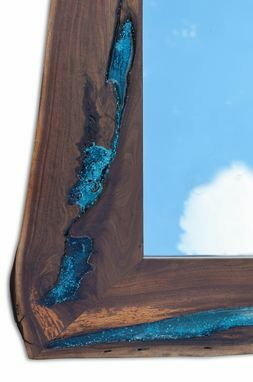 Turquoise powder added to the epoxy resin provides contrast to the dark wood tones of walnut. All together–a very pleasing way to view yourself every day. Size as shown 24"W x 40"H x 1.5" thick. Because this is handmade using different wood pieces every time, no two will be the same. 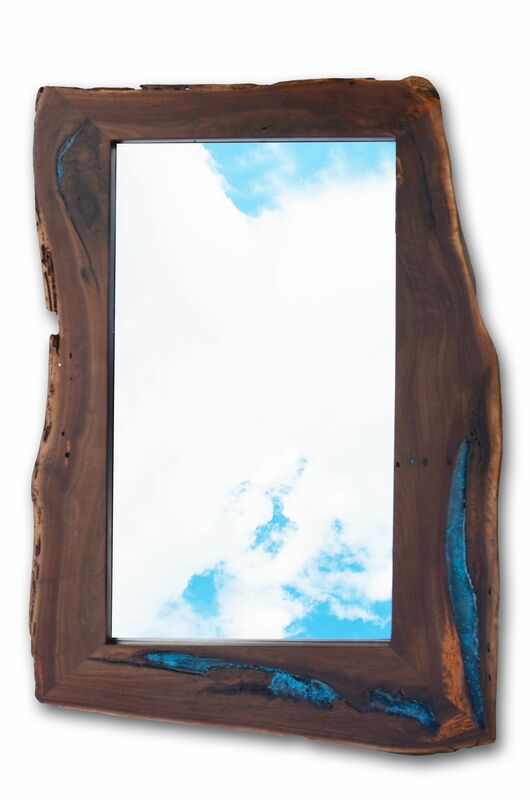 There will be similarities in design but each mirror will have its own signature look. Custom sizes and other wood types are available. Mirror and hanging hardware included. NOTE: Any size larger than the one shown cannot be shipped with a mirror installed. For larger sizes – frame only. 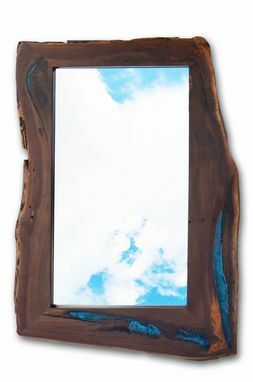 The frame will have an inside edge routed for easy mirror installation. Hanging and mirror attachment hardware is included.